What better way to relax after a week of Spanish classes than with some beach volleyball? Our students play every week with teachers, friends, and local Panamanians. All skill levels are welcome! Every Friday at 5pm. Cost: Free. 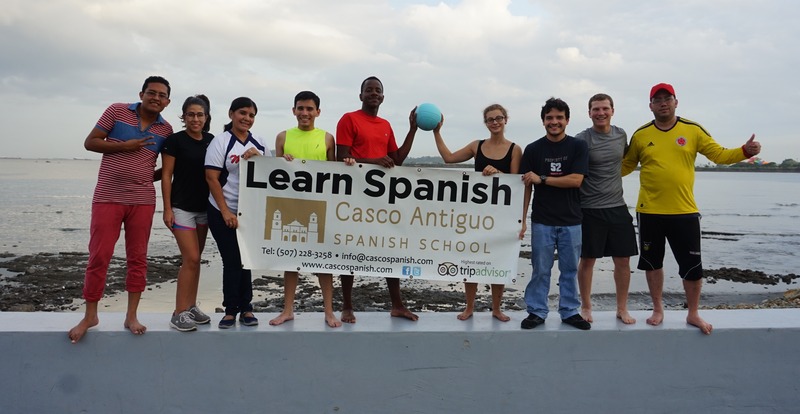 Meet at Casco Antiguo Spanish School and walk together to the Cinta Costera 3 park overlooking the Pacific Ocean.